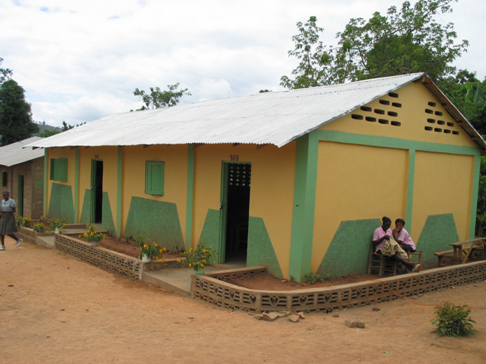 The school at Zilma, in Haiti Located at Zilma, Northeast Department. In 1996, Wilfrid Joachin, together with two other people from his area, wanted to do something for the children that were all day long in the street. In a village called Lakuève, in the North-East of the country, a place in the mountains, near the border with the Dominican Republic and cut off from bigger urban centers, they started to gather the children to give them some alphabetisation. This were children that had not the possibility to go to school, because of the poverty of their parents and the isolation they were living in. After several attempts they started a class in 1997 with 44 children, teaching them basic knowledge on a voluntary basis. A couple of years later, a lady, belonging to the Focolare Movement in Toronto, was visiting our small community there and spoke about this initiative on her return to the members of the mouvement in Canada. They collected some money and send it to Haiti. 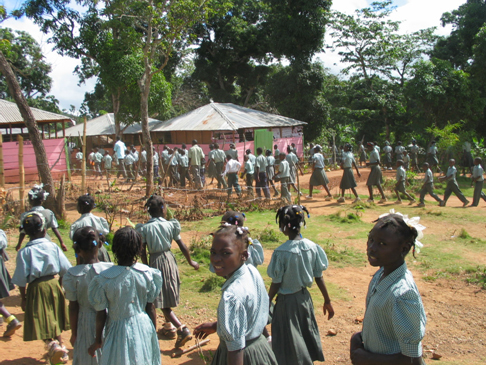 With this help the people in Haiti were able to build some makeshift classrooms, at a place near by, called Zilma. 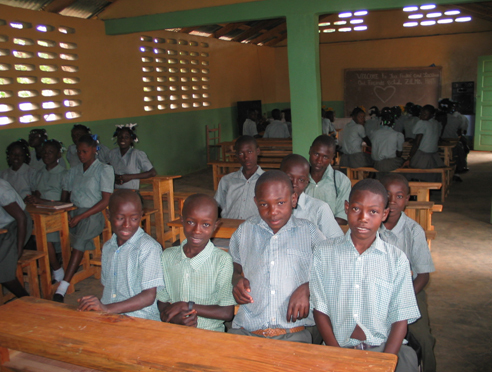 But the idea of helping poor children in Haiti was picked up by a parish priest in British Columbia, who proposed to the children of his parish to help this school in Haiti. 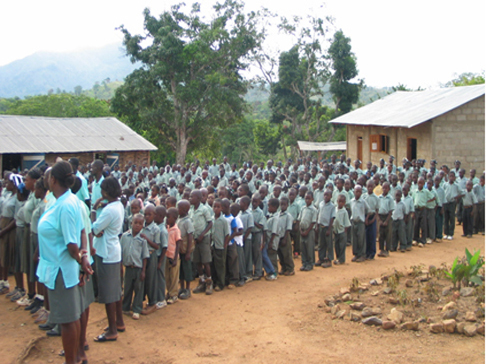 With this ongoing help, the school could take on more children and each year the number increased. At the beginning the school stared with a class of 44 children. Then, year after year, other classes were added, up to the standing of today. 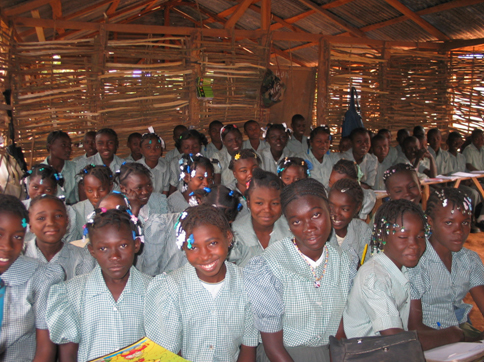 All together there are 13 classes presently, which go from pre-school to sixth year of elementary school. 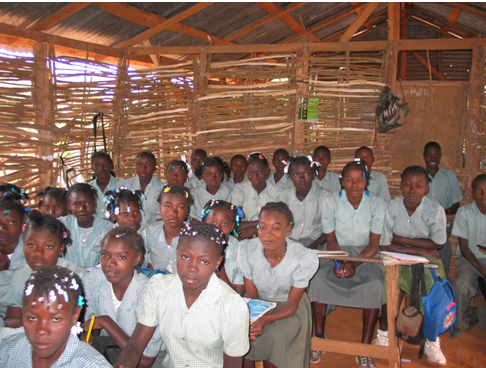 At the start of last year there were 528 students and, mostly due to sickness, 50 had to leave. The last two years two classes teaching sewing and household have been added for girls who finished the elementary school. The school is run by a director, 12 teachers and a person who follows the students that have problems (mostly because of undernourishment). School is 5 classes a day for 5 days a week. In every class there is one hour per week where they do the “Word of Life”. They read it and share their experiences of how they lived it, and this includes the teachers too. Since the school is run by the people who are living the spirituality of the Movement, they are also able to lay out the conditions for hiring teachers and one of the requisite is to live the Word of Life. In fact teachers are very pleased to be in this school for the atmosphere of love and understanding that is found there, even though the get paid less than in public schools. But also in public schools salaries are very low and often the teachers have to wait for months before getting paid. To give you an idea of their salary: a teacher gets 2000 Gourdes (the Haitian money) per month, which is around 33 Canadian dollars. Of course this is very little, but better then the majority of people who do not have a job at all. But, not wanting to rely only on the help from Canada, parents of the students who could do so, contributed also to school (41%). The whole budget for running the school was 11,074 Canadian dollars for the year 2003 – 2004. Last year was a very special one because students of the first group that had started some years ago were able to take the end exam, recognized by the government. 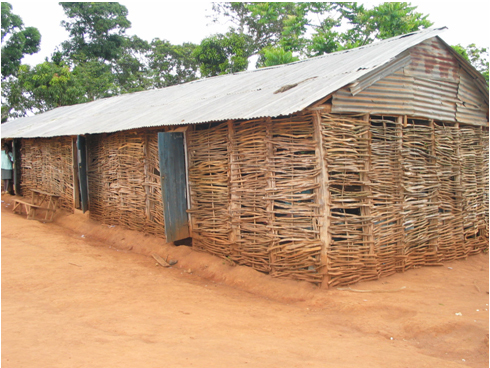 Even though some new classrooms were added over the years, a sports terrain was purchased with the help of young people from Canada… there are still many needs to be attended to. “School fees represent a large part of family income—between 15 and 25 percent of average household annual income per child for the poorest 20 percent of households, and between 5 and 6 percent in rural areas. A recent report by Médecins Sans Frontières found that nearly half of all families who pay for health services do so by resorting to nonsustainable coping strategies such as selling their assets (Médecins Sans Frontières 2005). It also found that these strategies are more common among the poorest families.